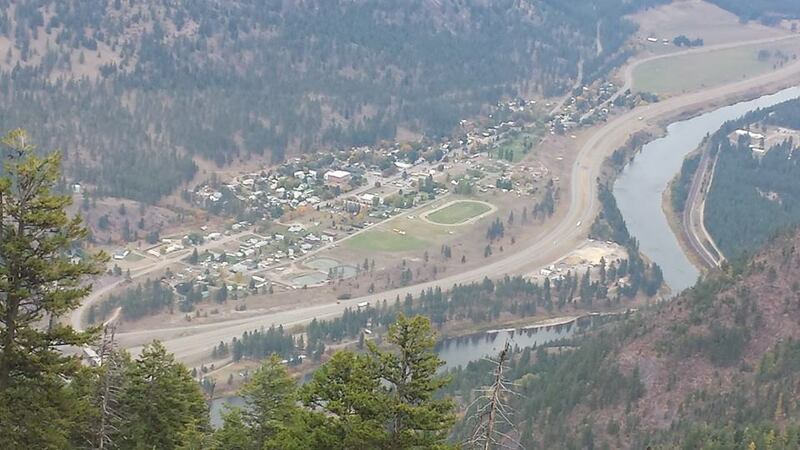 Located near the Montana / Idaho border, along U.S. Interstate 90 (I-90) and the mighty Clark Fork River, Alberton is just 25 minutes west of Missoula, western Montana's largest city. Considered the "Gateway" to Alberton Gorge, a popular and scenic whitewater way favored by rafters, kayakers, and avid anglers, the Town of Alberton offers essential business amenities, including gas, groceries, fine dining, bars and casinos and so much more. Plus, we have good people to help where needed. 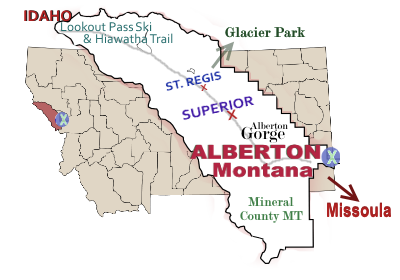 ALBERTON MONTANA: Gateway to Alberton Gorge & Our Railroad Heritage! Some 400 citizens live in the incorporated Town of Alberton, and the Greater Area enriches our population. We have a School System (K-12); a Town Council that governs as needed; and an Active Community with room to grow. 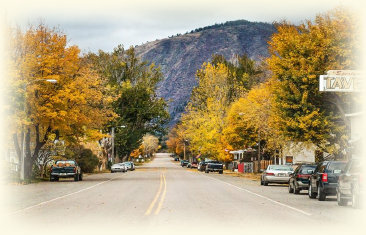 And the folks who stop to visit -- if only for a few minutes to relax between our towering mountains, or along the Clark Fork River, or in our Community park -- well, they find our A-town offers a nice break from interstate travel. And they're welcome ! 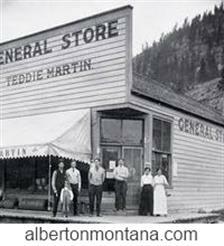 The history of Alberton, Montana, is a tale of the Milwaukee Railroad, a national railway that ran through our small town for much of the 1900s. Our Community Center -- which is available for rent and contains the Alberton Branch Library and Senior Citizens Center -- is the original Milwaukee Rail Depot, now restored. Another restored building from that era is our Antique Depot on the west end of town. Come visit; in July, we celebrate Railroad Days. Free family friendly events to celebrate our Railroad Heritage.